I asked these questions in a recent Black Feminist class I co-taught last year. My students, mostly Black and Latinx, queer and/or women, looked at me with disappointment. They read my question as an implicit doubt on my part, like I somehow didn’t believe in our collective freedom. “Well, I’ve never seen it but I am committed to the belief that it is real,” a Black queer girl replied. “Me too,” I said, reassuring them that my efforts to get them to think critically about the work of Black Queer Feminist theory, for me, was also linked to my own set of moral and philosophical beliefs and guiding principles. During the quarter, we had read the Combahee River Collective Statement, written in 1977 by a group of Black lesbian women committed to defining justice and liberation on terms which most closely mirrored their lived experiences. The Combahee River Collective was formally organized from 1974 to 1980. They set out on this work not just to lay the groundwork for what would come to be known as “intersectionality” but to record the work of Black women, Black queer women, whose engagement with feminism was not just rooted in the theoretical. Rather, it was necessarily connected to the communities from whence they came, and in many cases, still resided. …we are actively committed to struggling against racial, sexual, heterosexual, and class oppression, and see as our particular task the development of integrated analysis and practice based upon the fact that the major systems of oppression are interlocking. The synthesis of these oppressions creates the conditions of our lives. As Black women we see Black feminism as the logical political movement to combat the manifold and simultaneous oppressions that all women of color face. What they offered us in this statement and through their larger work was not simply an “ideal-case” theory of what freedom might look like through a Black Queer Feminist lens. Instead, they used their lives, situated at multiple, interlocking proximities to power, to illustrate how gender studies and race studies must always account for the intersections thereof. I am reminded of those Black, queer women this Black Women’s History Month. As we live through what it means to be Black and/or queer and/or trans and/or disabled and/or poor and/or undocumented and/or post-incarceration, we have to also grapple with what it means to embody a moral politic of Black Queer Feminism. In a recent piece at Broadly. – published by Vice, writer and activist Raquel Willis explained how trans exclusionary feminists (TERFs) undermine the fundamental precepts of feminism. Specifically, she detailed how her experience of having her speech cut off prematurely at last year’s inaugural Women’s March on Washington, DC in March 2017 was indicative of a larger issue with trans inclusion in mainstream women’s movements and activism. While I am glad that so many women were inspired to mobilize out of these efforts, I think that we must go deeper than just having a woman from a specific group speak at a one-off event. When it comes to Black transgender women and transgender women of color, I don’t want us to just be speaking at events. While we can definitely inspire the masses, I want us to also be in the room when the event is being planned. What I’m saying is: I want us to be in the leadership conversations. I want us there so there will never be a question as to whether trans women and femmes are being included. The systematic exclusion of Black trans women in feminist work and activism runs counter to what we learned from Combahee. Their emphasis on seeing all women as seated at the intersection of racial and sexual oppression is just as critical as their critiques of capitalism and patriarchy. Why was Combahee so concerned with the inclusion of all Black women in our fight for gendered justice? Because all Black women suffer under the effects of cis, white, heterosexist, patriarchal, able-bodied, middle-class capitalism in the United States. And, those Black women who use their labor and bodies to actively struggle against state-based repression are frequently the most at-risk for the long-term consequences of that work. 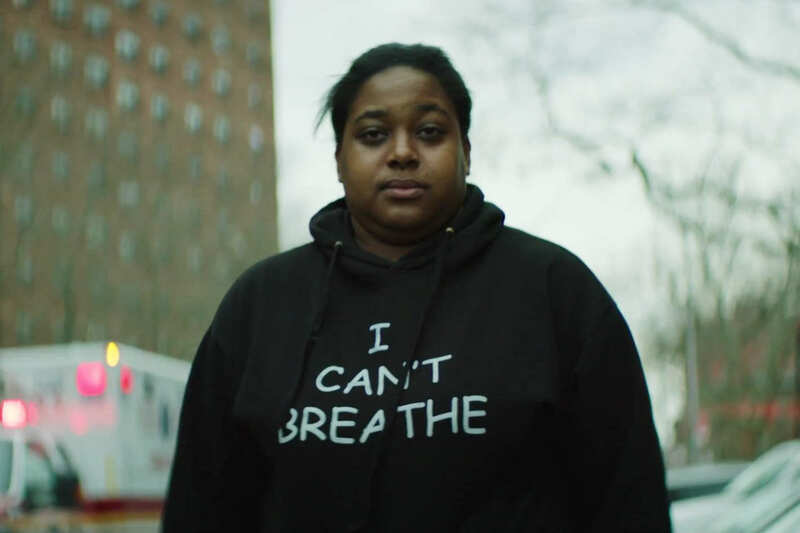 In December 2017, activist, writer, and mother of two, Erica Garner died unexpectedly due to a heart attack. She was only 27 years old. Like many activists, Garner was not only struggling with constant physical exhaustion of protesting, organizing, and demonstrating against the state. She was also worn from the stress of seeing her comrades, family, and co-organizers targeted by authorities. Not only that, she struggled to make enough money to support her family. …there were the stresses of living in poverty. Her housing situation was constantly in flux and she struggled to cobble together money to support her two children, Mr. Harris said. She occasionally received financial support from Al Sharpton’s National Action Network and sometimes took in speaking fees, but people often balked at paying her for appearances, Mr. Harris said. She could not hold down a full-time job amid all her activism, but had started writing an autobiography that she hoped would help raise money. Garner’s life was the physical embodiment of Combahee. She showed how Black women, who are frequently the most vulnerable to systemic disprivilege, are usually those most willing to sacrifice their bodies in the name of Black Liberation. So, we have to ask ourselves several questions: How do we move beyond simply “checking our privilege” to no longer relying on it to order our lives? How do we complicate our own positionality (whether we, too, experience multiple oppressions) with respect to power? At what point do we fully recognize that our own investments in whiteness, capitalism, respectability, and heteronormativity are inherently anti-Black and counter to liberation? Reading Audre Lorde, bell hooks, Janet Mock, Kimberlé Crenshaw, Patricia Hill Collins, Hortense Spillers, and Anna Julia Cooper is only performativity if we do not apply those thinkers’ seminal words to our own daily lives. We realize that the only people who care enough about us to work consistently for our liberation are us. Our politics evolve from a healthy love for ourselves, our sisters and our community which allows us to continue our struggle and work. When do we reckon with the ways our lives and “work” (fail to) intersect? When will we truly do the work? I hope the answer is now. Jenn M. Jackson is a co-Founder and Editor-in-Chief of Water Cooler Convos. She is a native of Oakland, CA, resided in sunny SoCal for a decade, and now lives in the Chicago suburbs. Jenn is a radical Black feminist scholar who believes theory without praxis is just faith without works. What to Don Lemon is the Fourth of July?